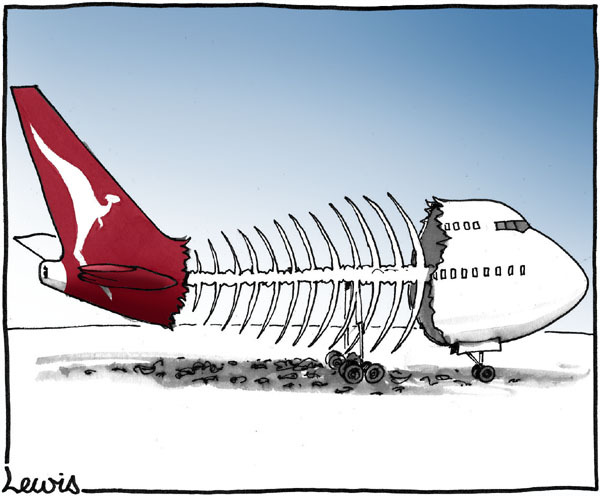 Thursday 27th February-QANTAS throws out more ballast!! !Iron ore and Gold slip!! 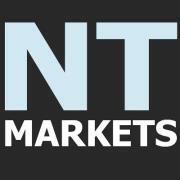 | Beeks Downunder-Because not all financial news is boring! Another night where the police are looking for a missing truck load of toilet rolls so they have nothing to go on! US numbers continue to confound the bulls and frustrate the bears..some good, some bad..all weather affected apparently…good housing numbers and $1bn to the Ukraine..things must be good! 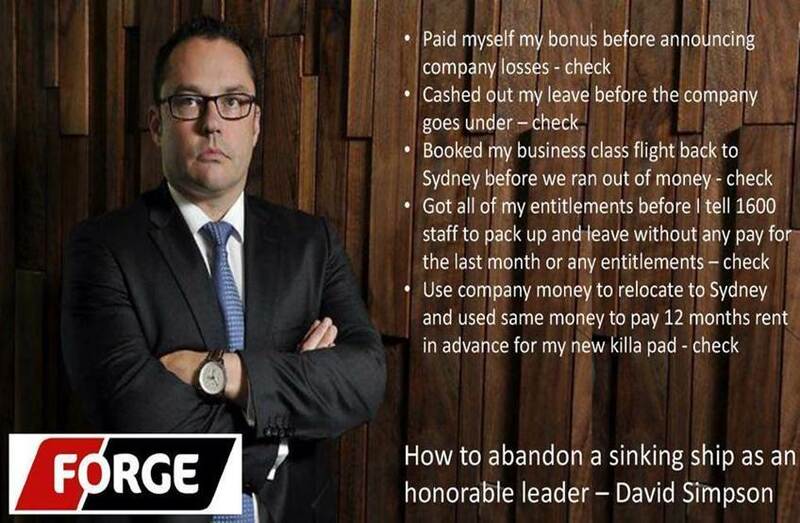 Big news of the day is QAN sacking 5000 staff..well done Alan you must be the most unpopular chief executive in Australia…on the one hand you tell the Government how bad things are and give me the money and on the other you say you have a plan…good plan..alienate your entire workforce..in time the only thing left will be the frequent flyer program and no airline to fly on…sorry I am venting but it does make me angry…and I was born in London!! !Still they only lost $252m so not as bad as the market was primed for…on first half revenue of nearly $8bn!!! Expect another day of going nowhere although I suspect that the fall in Iron Ore will knock some of the wind out of the bulls sails…we need a break that’s for sure..it has gone up too far and too fast..nothing goes up in a straight line forever..we NEEED a PULLBACK!! !Gold did last night so expect weakness in the usual suspects!! Idea of the Day- DNA Meeting with Management-Speculative Buy-UNS also moving higher!! Chelsea drew in Europe in the Champions League..away from home in Turkey!! OSH suspended pending a placement and an acquisition..
Iron Ore down again…say goodnight rally in RIO,BHP,FMG and AGO etc…looking like it will test the 110 level…may bring our market to a halt! Great profit numbers from our Kiwi cousins in the airline biz today..see Alan it can be done…but you have just have to work with the people not keep sacking them..hard to do a good job when all around are falling like Gladiators at the Colosseum. Doesn’t help morale which must be terrible…no wonder no one flies on your airline unless they have to…you should do the decent thing and go back to Ireland before there is nothing left to manage and then your job is complete…remember the more jobs they cut the higher the share price will go!!! Gotta love capitalism…. Henderson Group has set an ambitious strategy to double funds under management to pound stg. 130 billion ($240bn) by 2018 as it rolls out a global strategy. U.S. WARNS RUSSIA TO RESPECT UKRAINE SOVEREIGNTY-This is set to get messy I reckon..Crimea has been before and will be again…Russian troops now on an exercise…said that before they invaded Hungary etc…RasPutin won’t let this one go easy! !I was a bit surprised that the Gold price fell….US has also pledged to give the Ukraine One Billion Dollars..cue Dr Evil!! Should buy some influence. FBI SAID TO BE PROBING POSSIBLE CRIMINAL VIOLATIONS BY MT. GOX..you don’t say!!!! Purchases of new U.S. homes unexpectedly climbed in January to the highest level in more than five years, showing underlying strength in the industry even in the midst of unusually harsh weather.Sales increased 9.6 percent to a 468,000 annualized pace, exceeding the highest estimate of economists surveyed by Bloomberg and the most since July 2008. Over in the UK the two “terrorists ‘that hacked up soldier Lee Rigby have been given 45 years minimum..the one that tried to hack his head off got life…and they mean life..never to be released. boat up to the 4WD and proceeded to back out into a torrential downpour.